There are moments when artist become designers, designer become artist and both can become something entirely different. Both the genres of fine art and fashion not only bare the affect of trend and social temperature, but their changing relationship to one another is also reflective of society as well. Of course some collaborations are more successful than other but what is primarily important is the dabbling, the mixing and the sometime fantastic results that are created by the most privileged of people. 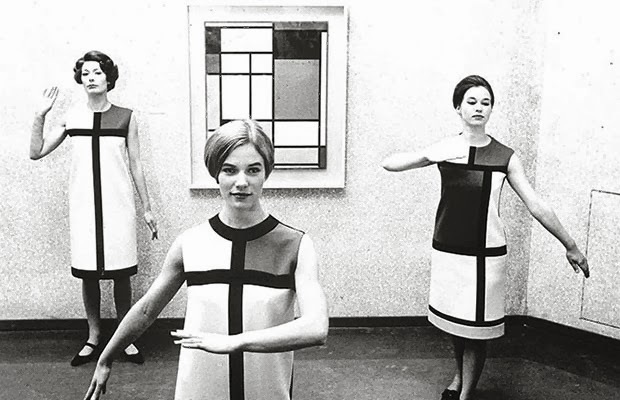 The bold, graphic and oh so 60’s shift dress that YSL released for its Autumn collection is a fantastic example of art and fashion co-habiting. With the clean black lines, use of primary colours the resemblance to Mondrain work is easy to see. The dress itself was assembled in panels with different jerseys so that no seams were visable. 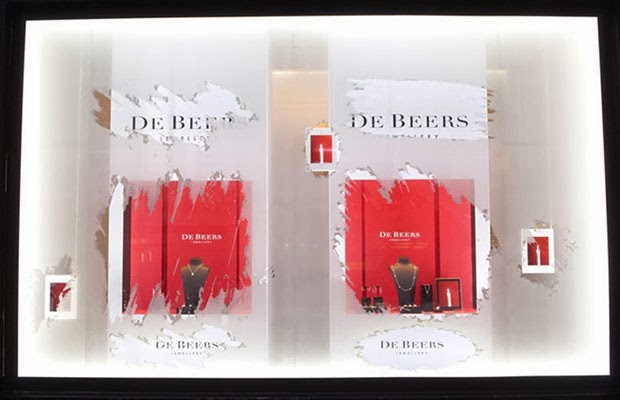 Rolf Sachs who practises a wide range of arts ranging from set design, furniture making, ballet and photography, collaborated with luxury Diamond company DeBeers for the festive 2012 windows. I love how the almost unattainable Diamonds (unless your super rich) seems warm and welcoming with the use of steamed glass and the warm flickering flame of a candle. 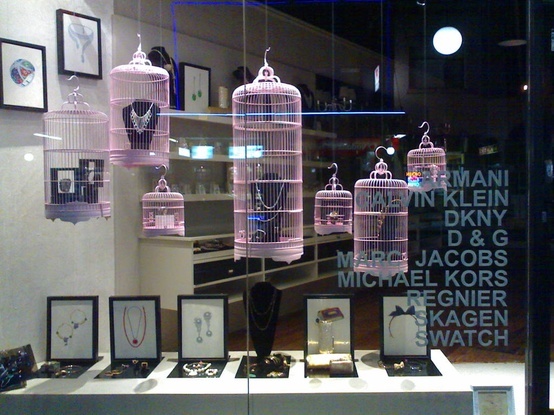 The display is eye catching unique and inviting perfect for a luxury brand. 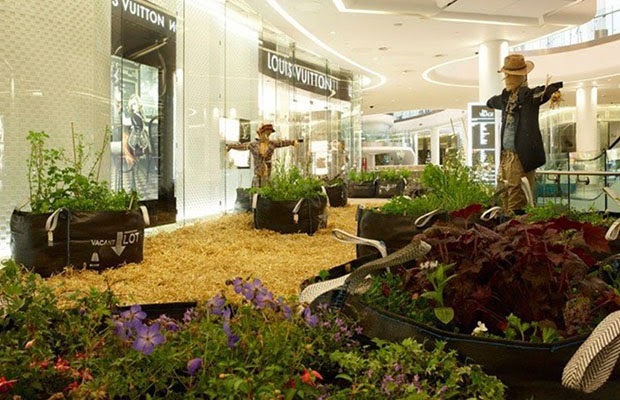 2004 winner of the Turner Prize artist Jeremy Deller was commission by Louis Vuitton to create a original installation of a garden for their Shepard Bush store opening. Jeremy said that the piece was designed as a contemporary symbol of sustainability and natural energy. The installation remained in place for 10 days in may 2009. Aronofsky latest film Black Swan collaborated with the Rodarte sisters to create some of the most stunning outfits. The techniques used by the Mulleavy sisters are more akin to one of a kind garments, than ready to wear fashion; their hand treatments involve dying, burning, sanding and weaving to name a few. And though the sisters have shown at New York’s Fashion Week, earned numerous prestigious awards, their work created for Aronofsky’s film reaches a new level of sumptuous detail. 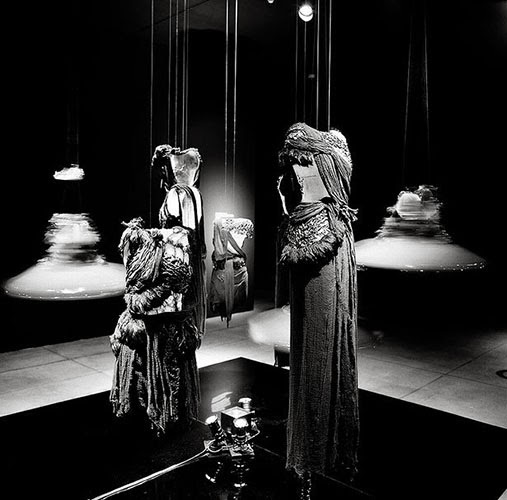 The costumes worn by Portman and Kunis were later displayed at MOCA Los Angeles’ Pacific Design Space alongside garments from their previous collections. And although Aronofsky didn’t have a direct hand in the making of the costumes for Black Swan his input and strong direction was imperative to making the costumes believable, completely unique to the film, and the experience. 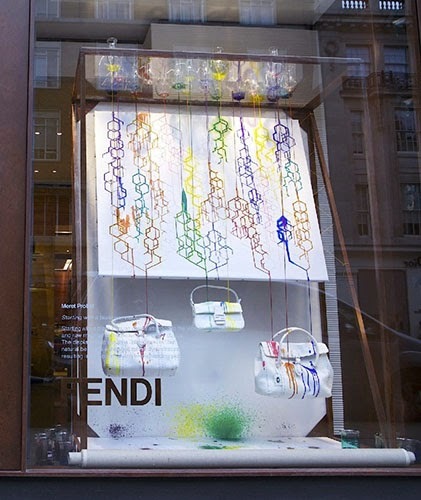 Students at the British RCA were offered opportunities to design window installations at the new Sloane street Fendi store. The young artist were encouraged to incorporate surplus materials such as dye and leather off cuts. Probst design began with a “blank canvas, plastic tube and with white bags and purse displayed at the bottom. 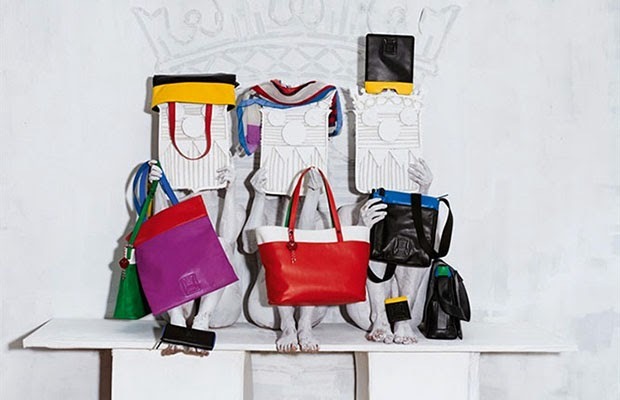 Then slowly a stream of different brightly coloured dyes were sent down the plastic tube which slowly dripped on to the fendi bags & purse and canvas. Creating a decorative and ever changing picture. 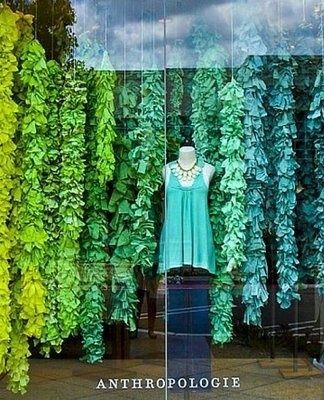 Have you noticed how all the shops on the high street seem to be selling the same thing? Monochrome is everywhere as was a sea of grey windows last season. 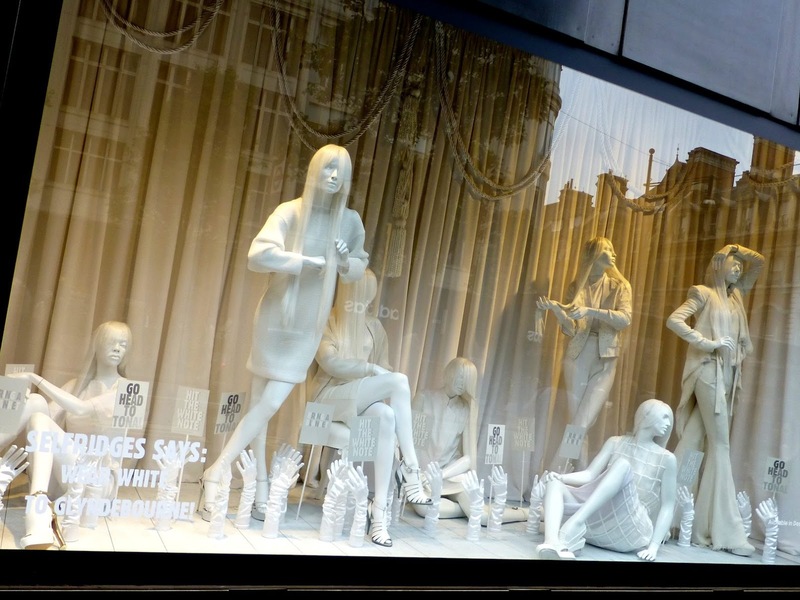 All White fashion is now de rigour for window display as it is everywhere on the high street from Next to Topshop. When I have been looking around the high street I find myself struggling to get excited and sometimes differentiate between stores as everyone is selling the same thing. I think this is because of the economic climate, yes we are told every day that we are, slowly, coming out of recession but clothing companies don’t want to take a risk is producing masses of stock just for it to go into the sale. Times like this see subcultures and independent labels flourish, subcultures want to break away from the main stream and use fashion as an expression of their angst. Independent labels are more flexible and there for able to adapt and produce smaller quantities with less risk so are able to tap into subculture and the newest street fashion trends. The 90’s saw the rise of the Punks who adopted the safety pin which was then turned from cheap commodity into high fashion by Dolce & Gabbana on “that” safety pin dress. With DIY fashion tutorials on youtube and programmes such as the Great British Sewing Bee, which was on Channel 4 earlier this year I see this starting to happen again. People are becoming more open to having ago at making something themselves or at the very least customising something that have bought from the high street. Vintage fashion is gaining more followers and popularity every day with people who want high quality materials, great unique off design and mostly INDIVIDUALISM at a fraction of the cost of the high street. High street chains are noticing this trend and are beginning to offer limited edition dresses for double the cost of their normal collection, but I know what I would prefer. I am looking forward to seeing what next season has in store for us… not that I am wishing the summer away. 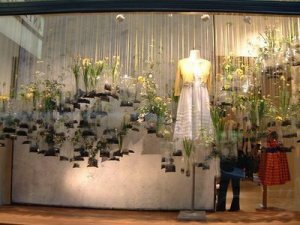 Window dressing is becoming more and more of a focus to brand across all market groups; High Street, High Fashion, Accessories and non fashion industries. 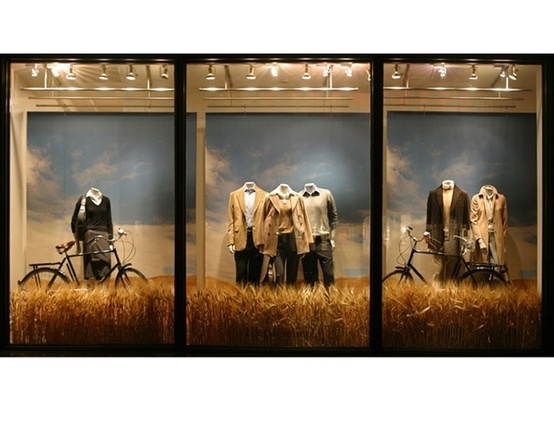 They are the first thing that people, customers, see, it should tell you something about the brand and what you can expect to find inside the store, with the aim of drawing you inside. 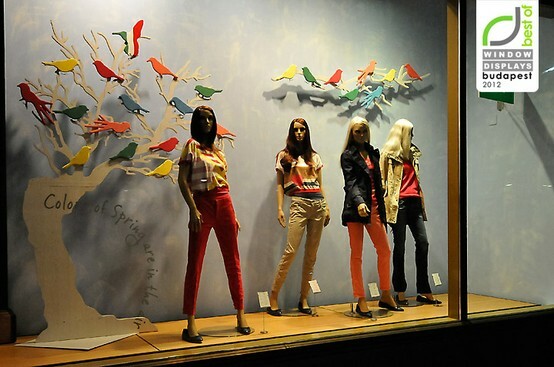 Window Display are getting more and more creative, dramatic and artistic. 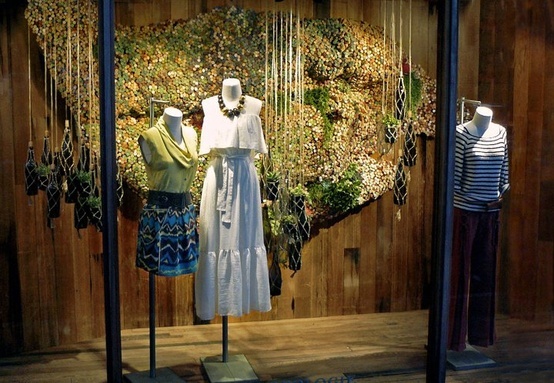 Sometimes featuring no product in the window at all, this is most commonly seen with luxury brands that have an established, loyal customer base and who’s name conjures images in your head of what you will see in the store. But what is the perfect balance between Art and Product? 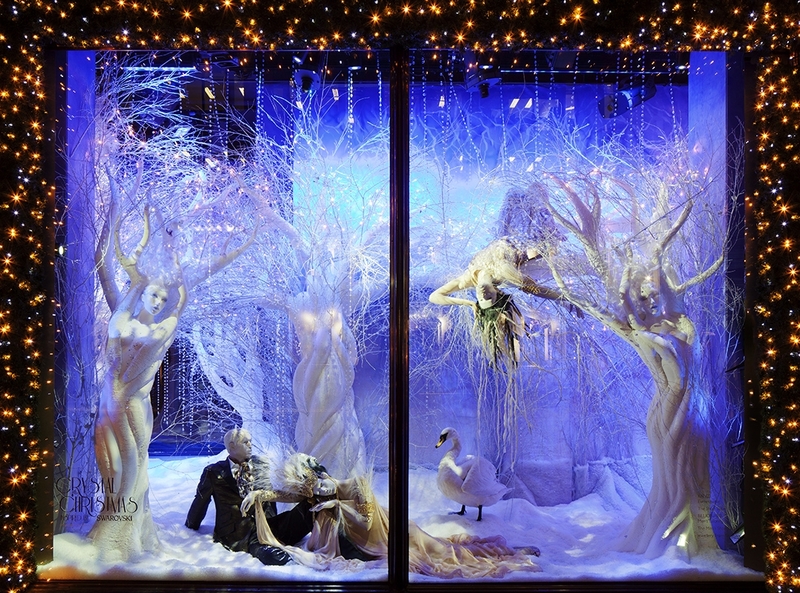 Selfridges, Havery Nicks, Libertys and Harrods are known to go all out for their window displays. 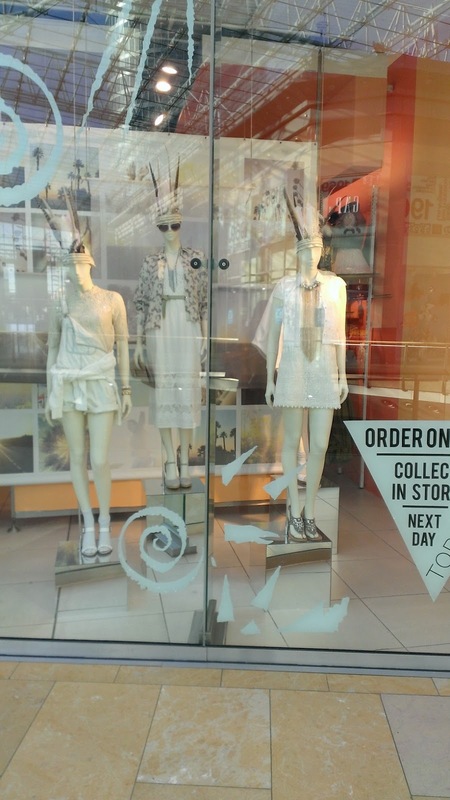 High street brands such as Topshop, Next and Zara have whole teams dedicated to designing, implementing and updating their schemes all year round! 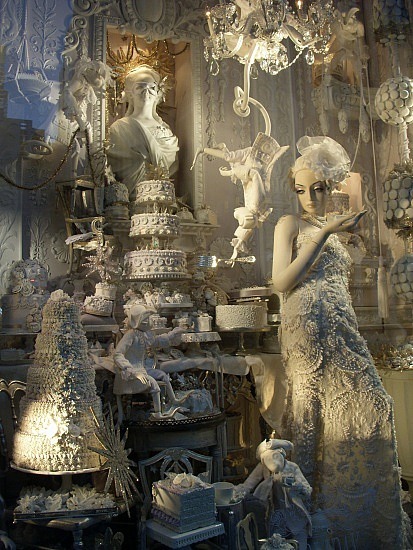 So you know it must be a worth while to invest time and money, but not necessarily lots of it, into Window Displays. 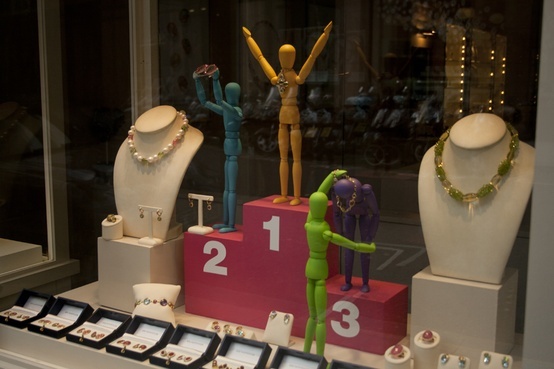 Here are a few of my most favourite eye catching window displays, celebrating everything from Earth Day to the Olympics. 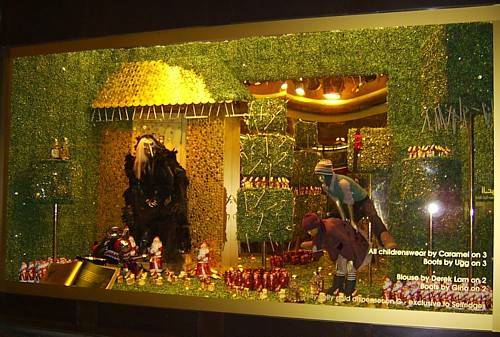 Christmas, sorry to say that word so early in the year, is the window that is the most extravagant, where you can see that everyone has let their in child come out to play.